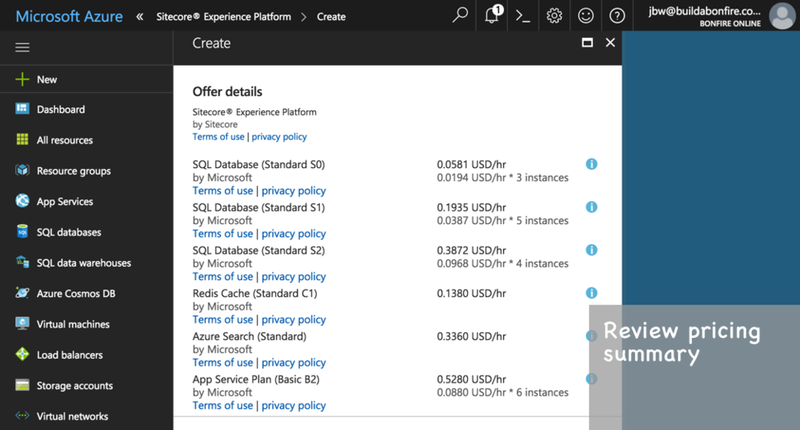 30 Minute Deployments on Azure — Bonfire Inc.
During the Sitecore Symposium keynote last week, Jason St-Cyr demonstrated how easy it is to get an instance of Sitecore up and running in Azure PaaS. He stepped us through Azure's set-up wizard. A few configurations, create a few passwords, and you're up & running -- A round of applause from the keynote audience. The next morning at the conference breakfast, I figured I'd give it a try -- to see if it was really that easy. It took less time to set-up a full instance of Sitecore XP with SXA than it did to finish my powdered conference eggs & bacon. And, I'm a marketing guy! Here's a quick run-through of the step-by-step. 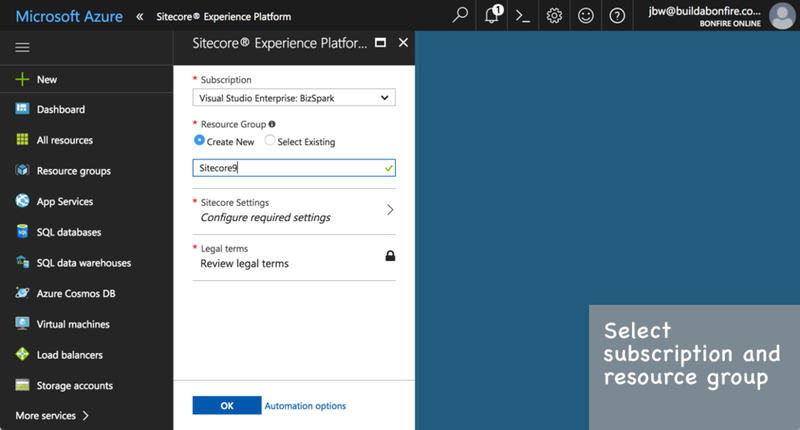 Azure references this Sitecore knowledgebase article for some intel on sizing your Sitecore implementation. You rarely see something this complex presented to the end user in such a simplified way. Azure's has become our go-to option for hosting. We expect that trend to continue.